Toulgra, or Bulldog (Bouldogue), was 14 or 15 years old in 1802 when French artist Nicolas-Martin Petit drew his portrait at Parramatta. 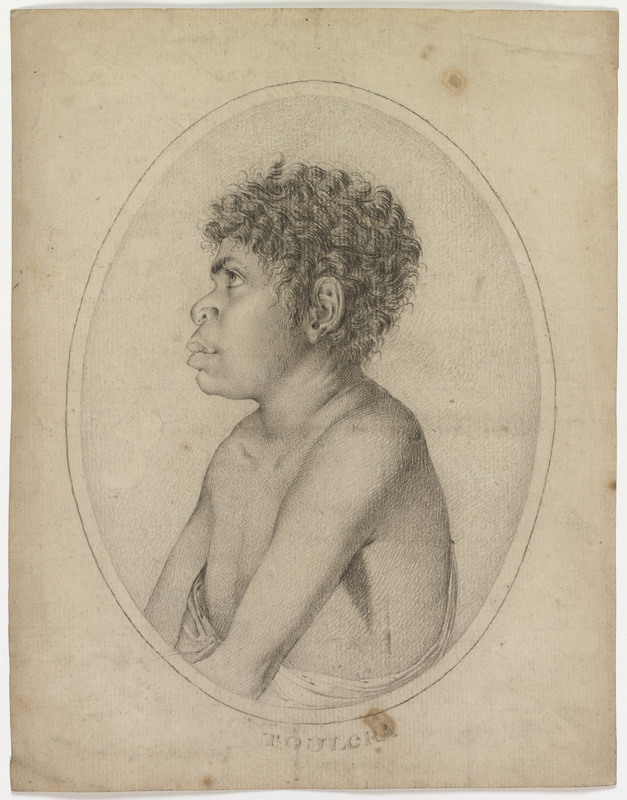 Toulgra was a nephew of Bennelong, a local Aboriginal man and friend of Governor Arthur Phillip. Toulgra, or Bulldog (Bouldogue), was 14 or 15 years old in 1802 when French artist Nicolas-Martin Petit drew his portrait at Parramatta. Toulgra was a nephew of Bennelong, a local Aboriginal man and friend of Governor Arthur Phillip. Three years later, in 1805, Toulgra was exiled to the penal settlement at Norfolk Island for seven years. He was one of the first Aboriginal ‘convicts’ to leave the Australian mainland, along with another Eora man, Musquito. They had been charged with participating in ongoing raids and arson attacks in retaliation against white settlement along the Hawkesbury River.